It starts at $500 with an 18-55mm kit lens. Nikon may have revealed its biggest (and worst kept) secret of the year last week, when it finally introduced the Z6 and Z7 full-frame mirrorless cameras. But those shooters are geared toward prosumers and not exactly the beginner crowd. 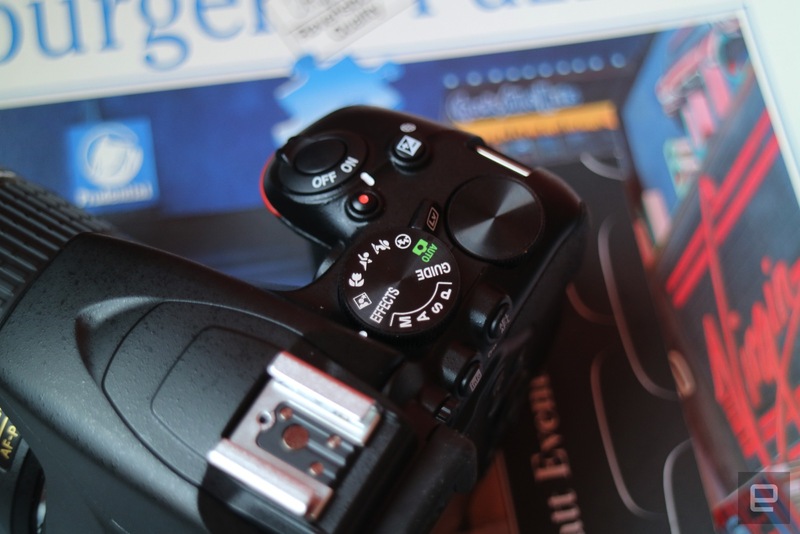 The D3500 DSLR, however, is very much designed for people looking for an entry-level camera -- one more powerful than a point-and-shoot, yet portable enough to carry around without much effort. 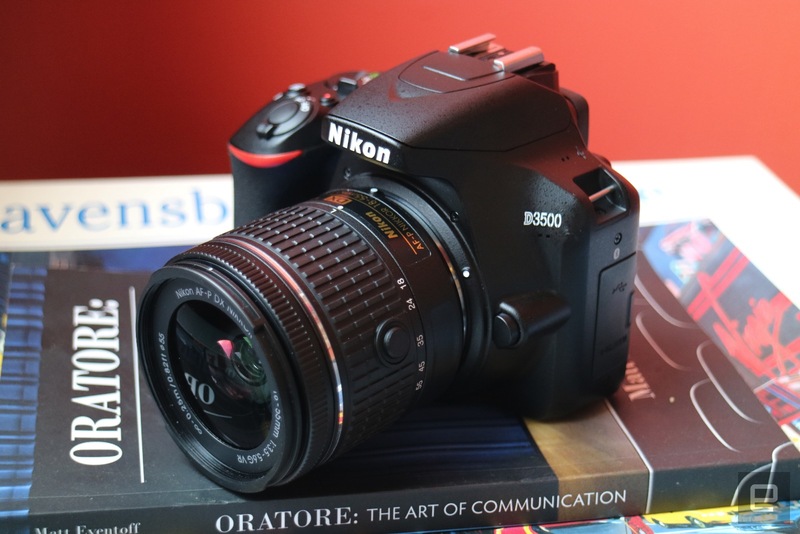 It comes with a 24.2-megapixel CMOS sensor (DX-format) and a revamped Expeed image processor that, Nikon says, is intended to capture sharper details and more vivid colors than its predecessor, the D3400. Additionally, the new D3500 sports an 11-point autofocus system, 100-25,600 ISO range and the ability to share images wirelessly via Nikon's SnapBridge feature. According to Nikon, it can also take approximately 1,550 shots on a single battery charge, while modes like Guide and Effects are there to make it easy for users to figure out how to work the camera and add Instagram-style filters to their pictures in real time, respectively. There's no 4K video, unfortunately (1080p at 60fps is what you get), but that's likely not something that will be a deal-breaker to aspiring photographers or videographers. Unfortunately I wasn't allowed to take any sample images with the D3500, but in terms of ergonomics, the camera feels light on your hand yet not cheap. And those who are going to be interested in this camera will appreciate the easy-to-use-dials, which offer quick access to features such as Effects. I do wish it had a tilting LCD on the back, though I understand why Nikon would want to keep the cost down. Still, there's enough here to like -- as long as you remember this is DSLR for beginners. 5.6G VR and an 70-300mm f/4.5-6.3G ED AF-P DX Nikkor lenses.